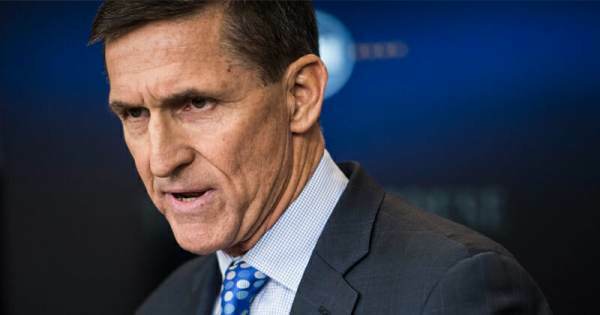 General Mike Flynn’s sentencing memo was filed Tuesday evening and it further proved that the FBI agents ambushed him to get him in a perjury trap. “Following extraordinary public service in the United States Army, during which his innovations as a highly decorated intelligence officer saved countless American lives, and a lifetime of faithful devotion to his family and fellow service members and veterans, as described in the powerful letters of support that accompany this submission, a sentence of non-incarceration is both appropriate and warranted,” Flynn’s lawyer wrote in the sentencing memo. Robert Mueller and the DEEP STATE demons ruined an American hero’s name. Last week the Mueller special counsel and its gang of angry, lawless Democrats made General Flynn wait for an entire year — destroyed him financially — and then finally called for no jail time. Flynn’s sentencing memo is further proof that Mueller, Strzok, Rosenstein and the corrupt criminals who targeted Flynn, a three-star General need to be prosecuted and put in prison. The extent of General Flynn’s cooperation consisted of 19 meetings, whether via telephone or in person with the special counsel totaling 63 hours along with thousands of documents produced. Flynn did not have his lawyer with him and soon after the FBI agents began to question him he realized he was being ambushed over his phone calls to Russian Ambassador Kislyak. The sentencing memo reveals the FBI agents had transcripts of General Flynn’s recorded phone calls with Russian Ambassador Kislyak so they weren’t there to gather intel or investigate, the agents were there only to get Flynn in a perjury trap. Judicial Watch president Tom Fitton responded to the Flynn sentencing memo and called for President Trump to pardon General Flynn. General Flynn's sentencing memo filed tonight.